recipes courtesy chef linton hopkins, executive chef, restaurant eugene, atlanta, ga.
it's a tradition he shares with his children - the blairsville sorghum festival - and it's a taste he shares with the many that dine with him at restaurant eugene in atlanta, georgia. 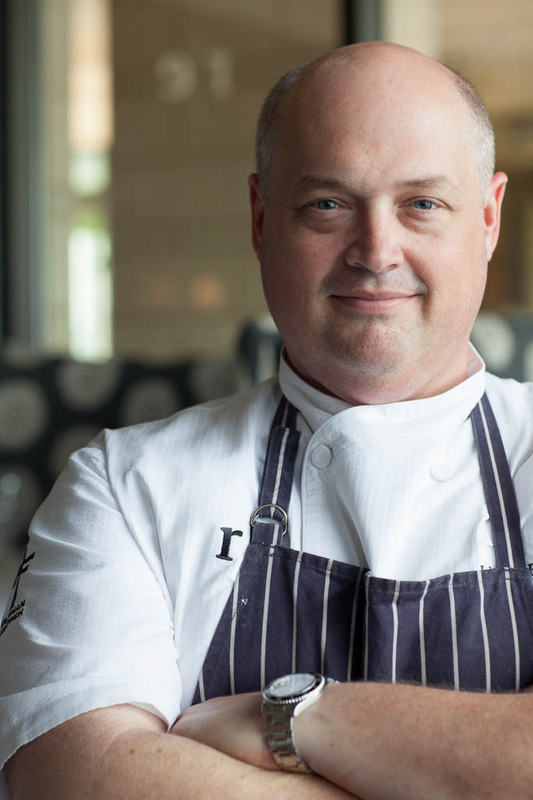 you might call him a national advocate for this southern staple, but chef linton hopkins just believes it's one of the great, undiscovered flavor explosions of the south. through his creations, he's providing an experience to those who more than likely would never cross paths with this earthly, acquired taste. i told him once that i grew up in the mountains and my daddy's morning ritual included biscuits, butter and sorghum, his southern trinity. i shared that i wasn't too keen on the flavor. he looked me square in the eye and said, "you need to revisit that." and so i did, this past weekend at the sorghum festival. i was shocked that my childhood singular impression transferred into my mature years. i quickly remedied that by buying a case of this ebony elixir and making biscuits the next morning. brown butter is always better when just made. the key step, of course, is browning the butter. the point of no return happens pretty quickly so have your lemon, parsley and sorghum ready to help stop the browning process. the parsley should cackle when it hits the hot butter. it is also important to remove it from the pan as soon as it is finished or it will continue to darken. clean ribs of silverskin membrane on the back of the ribs. use a paring knife and slowly ease the skin off by pulling. takes some practice but yields better ribs. combine dry items, rub into ribs, place on rack on sheet pan and refrigerate overnight. bring oven up to 275 degrees. place ribs in oven and roast for 2 hours (until you see meat starting to pull away from the bone), mopping glaze on top every 30 minutes. at end of two hours, bring oven up to 400 degrees and let ribs cook for 10 minutes until well glazed. bring to a boil, reduce to simmer and cook till reduced by half. cut cooked pork belly into 1-inch cubes. deep fry at 375 degrees until crisp golden brown. melt sorghum in thick-bottomed pan. bring to a simmer, add vinegar and cook back to a glaze. add butter, then fried pork bellies. cook glaze down until sticky and well-coated. season with salt and black pepper.